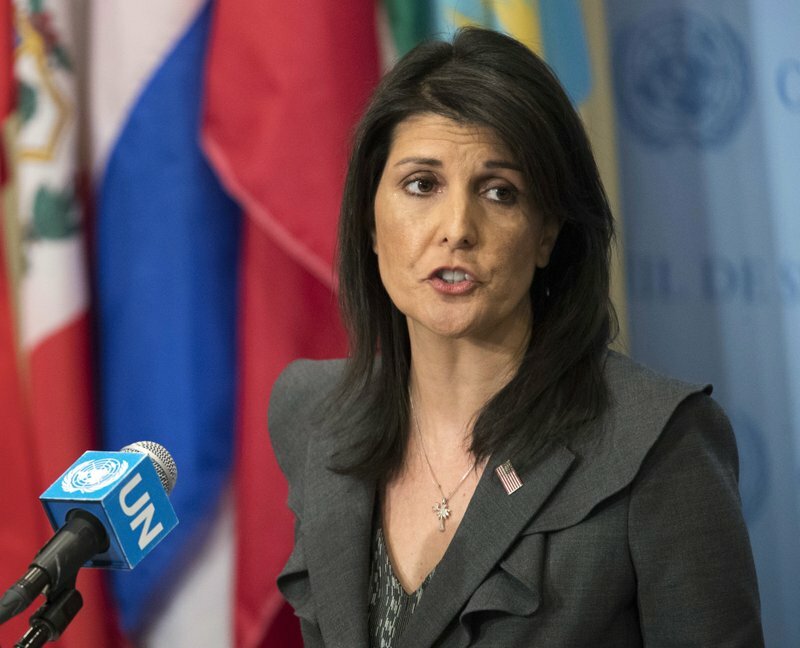 19 Jun 2018 – The United States announced today it was leaving the United Nations’ Human Rights Council, with Ambassador Nikki Haley calling it “an organization that is not worthy of its name.” It was the latest withdrawal by the Trump administration from an international institution. The above news reminds me of “American exceptionalism” and the phrase the “Chosen People/Nation”. More serious problem is the constant refusal of the United States to join the Rome Statute of the Iinternational Criminal Court (ICC), although the United States is showing certain positive signs to provide the ICC with some cooperation. The U.S. has complained about other countries and their attitude towards Israel (“Israel Bias”) and that some of its members are human rights abusers themselves. Sounds like nothing more than deflection away from U.S.’s own conduct, not only in its recent action of exacerbating the tensions between Israel and Palestine and being the primary cause of the major eruption of mass murder by Israel against Palestinian protest. It is also a deflection of the U.S.’s direct record of recent human rights abuse through their recent record of torture in Abu Graib and secret black sites, but in its prison in Guantanamo which continues to imprison individuals under cruel and unusual conditions. Today, the U.S. continues with its human rights abuse thru the violation of the spirit of the Convention against Torture as well as the Convention on Refugees and Asylum in its treatment of force-ably separating parents from children along the U.S.-Mexican border. U.S. human rights abuse is the story of the U.S. empire building. It’s sweep across its North American territory under its Religious Manifest Destiny doctrine is a story of pillage across the northern continent to the Pacific ocean dislodging and mass-murdering the native people (Indian Removal Act), marching them from East of the Mississippi River to Oklahoma along the “trial of tears” causing the death of over 4,000 of the 15,000 plus forced to engage in that “relocation”. This is just one of the many other atrocities against the Native Americans of North America. Under the Monroe Doctrine, it expanded its Manifest Destiny doctrine to impose itself throughout Central and South America, and subsequently increased its intervention through the Roosevelt Corollary which claimed a right to intervene into the affairs of nations below the Southern U.S. border. Not satisfied there, they also looked to the North and took the Alaska territory under the guise of a “purchase” from Russia (who never owned it in the first place)! When it finally gave the people of this territory its right of free choice to become a State of the U.S., the native people of Alaska were not permitted to vote, but U.S. citizens, many of whom came from the “lower 48 (states)” could vote. The U.S. military were paid to vote in this Alaska plebiscite! That plebiscite offered only one alternative – remaining a territory of the U.S. or becoming a State of the United States. The father and the mother of all human rights is the right to self-determination. When a people who are caught under conditions of colonization or what the U.N. had called “non-self governing territories”, they are entitled to not only the choice of integration into the colonizing nation, but are entitled to the option of independence as well as “free association.” This was never afforded the people of Alaska (1958) who should have been given this right of self-determination. The Hawaii case is a bit more egregious because it involved the military invasion of this independent nation (1893), and through the creation of a puppet government (Republic of Hawaii), it followed a stepped transaction resulting in the “cession” of Hawaii to the U.S. This “territory of Hawaii”, just like the territory of Alaska, were placed under the category of a non-self governing territory (1946). When they were given the plebiscite option of self-determination, the Hawaii people were only given the choice of integration, just as Alaska. There were no choice of independence or free association. Furthermore, only U.S. citizens could vote, which included the U.S. military. Hawaiian nationals who refused to accept the attribution of U.S. citizenship were prohibited from voting. (1959) Even today, those Hawaiian nationals still living in Hawaii can not vote, hold public office, obtain a driver’s license, board an aircraft to fly inter-island, obtain a passport, etc. Yet they are pursued to file and pay U.S. and State taxes and abide by all U.S. and State laws! Human Rights violations by the U.S. even within Hawaii is alive and rampant! The U.S. denied to the people of Alaska and Hawaii the human right of self-determination, which the U.S. were under a sacred trust obligation to bring to fruition under its obligation of Article 73(e) of the U.N. Charter. The above rendition of U.S. human rights violations only touches the very surface. The “holier than thou” attitude of the U.S. of declaring others of violating human rights, upon examination, only comes back to strike at the U.S. record, past and present even more intensely. The fact that the U.S. has declined to remain a member of the UN Human Rights Council should not act in any way as a barrier to being continually criticized for its violations of human rights.